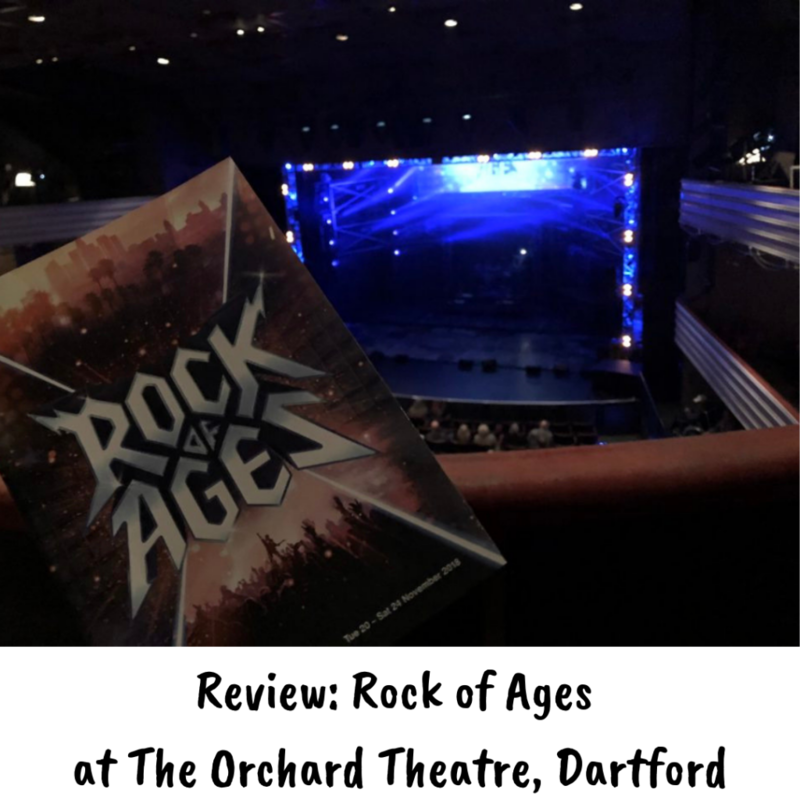 Last night I was invited to press night at The Orchard Theatre, Dartford to check out Rock of Ages, which is currently touring the UK. 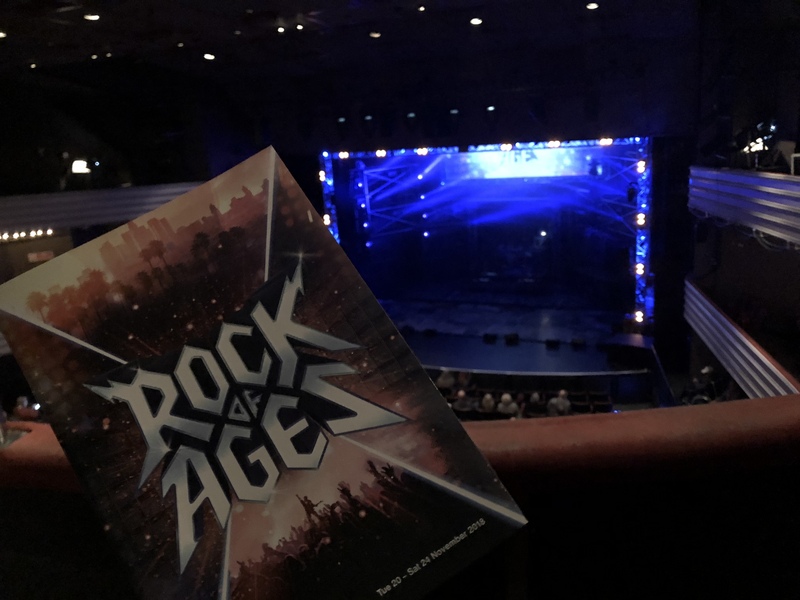 I’m a huge fan of jukebox musicals – and being an eighties child a musical built around classic rock from that period sounded epic. 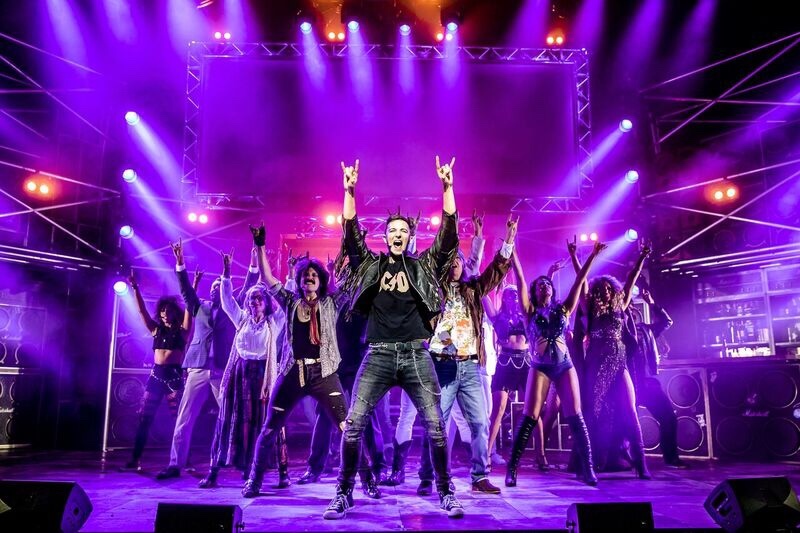 Rock of Ages has enjoyed a successful run on Broadway, the West End and international tours plus a film adaptation starring Tom Cruise in 2012. This UK tour runs until July 2019. It’s the mid to late eighties on the infamous Sunset Strip in LA and we meet Lonny the narrator, who introduces us to Sherrie and Drew(his words – the token love story), the Bourbon Room(the main setting for the story) and a number of fabulous characters we meet along the way. Notable names are Danielle Hopes(BBC Over the Rainbow winner/Dorothy in The Wizard of Oz); Zoe Birkett(Pop Idol was so much better than X Factor, plus she’s an amazing singer) and, wait for it – Kevin Kennedy who most will know as Curly Watts from Coronation Street in the nineties. 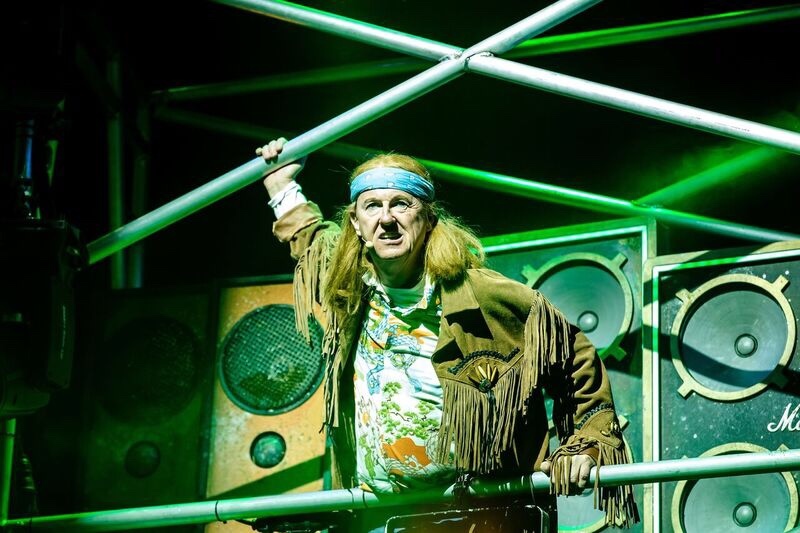 Curly Watts in a rock musical? Really? After a ridiculous diversion and awful drive to Dartford in the pouring rain I joined the swarm of fellow theatre-goers heading into the auditorium, which considering it was a weeknight was packed. The atmosphere was exciting – the stage had no curtain down and looked like a festival stage or rock concert; with bright lights and metal rigging. There was no stiff formal start – it started just like a festival set and straight away we were into the eighties rock numbers. Lonny(Lucas Rush) is an awesome character; narrating and keeping the audience up to speed with he story and setting. Although most of the cast regularly break the fourth wall Lonny is the main perpetrator, even down to talking to members of the audience on the front row and regularly mentioning one particular lady throughout(bless you Jo). Drew(Luke Walsh) and Sherrie(Danielle Hope) both come to LA seeking fame and fortune and end up working in the Bourbon Room which is owned by Dennis Dupree(Kevin Kennedy). The Mayor of West Hollywood is convinced(bribed?) to demolish the Sunset Strip in order to promote clean-living and the story weaves this and the love story of Drew and Sherrie together with glam rock classics such as ‘We Built This City‘ ‘Hit Me With Your Best Shot‘ ‘The Final Countdown‘ and many, many more. The music is AWESOME – it’s loud and it’s impossible not to clap, bop and toe-tap along. The music interestingly is played live by the band from within the story line, Arsenal, who play from the back of the stage on a moving stage plinth that comes forward when they are on stage and stays out of sight when they are not; as opposed to the usual orchestra pit. Even if rock isn’t your thing it’s impossible not to get swept up in the music, especially as the vocals are so strong and made the hairs stand up on the back of my neck on more than one occasion. The sign of a good show? 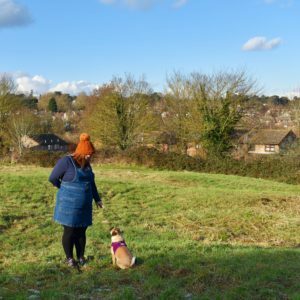 I didn’t want it to end – and I shed a tear at the end because I was gutted it was over. The show finished with the Journey classic ‘Don’t Stop Believing‘ and every single member of the audience was up; clapping, dancing, singing – to be a part of an atmosphere where everyone is having a fabulous time and enjoying themselves is just the icing on an awesome glam rock cake! Would I recommend? 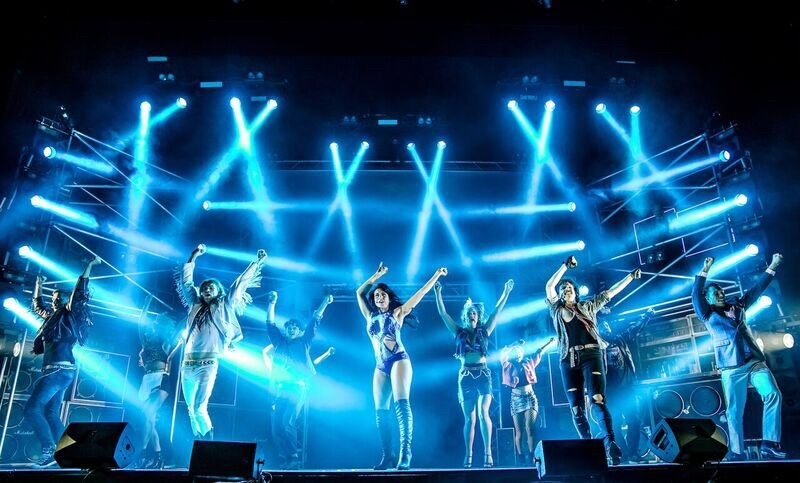 WITHOUT A DOUBT – Rock of Ages is lewd, rude, loud and fabulous – it’s a hilariously brilliant musical that weaves love and times of change in with classic eighties rock. 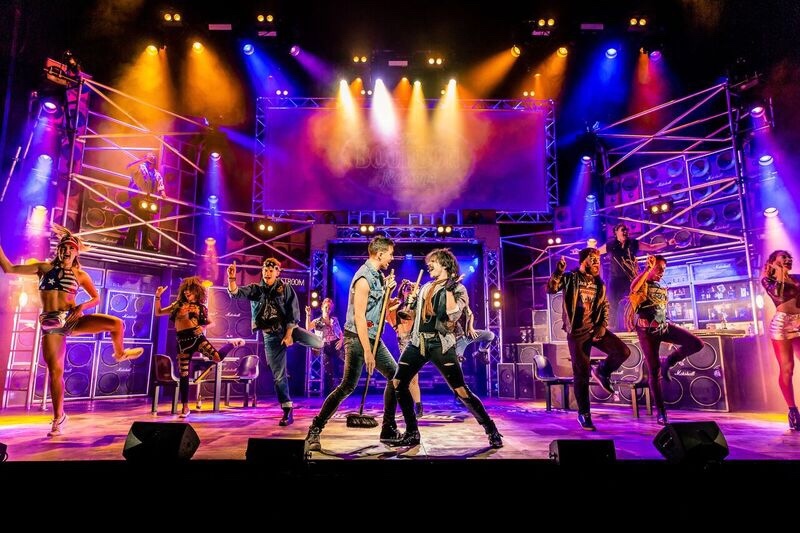 Rock of Ages is in Dartford this week(20th-24th November 2018) – for tickets click here and for the UK tour click here.